The Meopta MeoPro 80 HD Spotting Scopes are assembled in the USA. 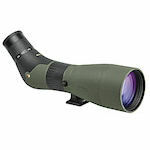 They feature an 80mm HD fluoride objective, an integrated 20-60x eyepiece, and a rubber armored magnesium chassis. 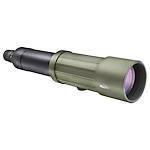 MeoStar spotting scopes are a premium quality optic from Meopta. 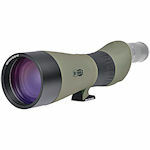 MeoStar scopes are made with excellent HD glass and an 82-mm objective lens. MeoStar scopes are available in angled and straight body designs. The rugged aluminum alloy and carbon fiber body is nitrogen-purged and waterproof. The Meopta TGA Spotting Scopes feature a draw-tube collapsible design. Lightweight construction and small folding length make it ideal for trekking with a backpack.